It amazes me that humans are capable of doing the math to send stuff into outer space (which might say something about my own math skills, if I’m being honest). 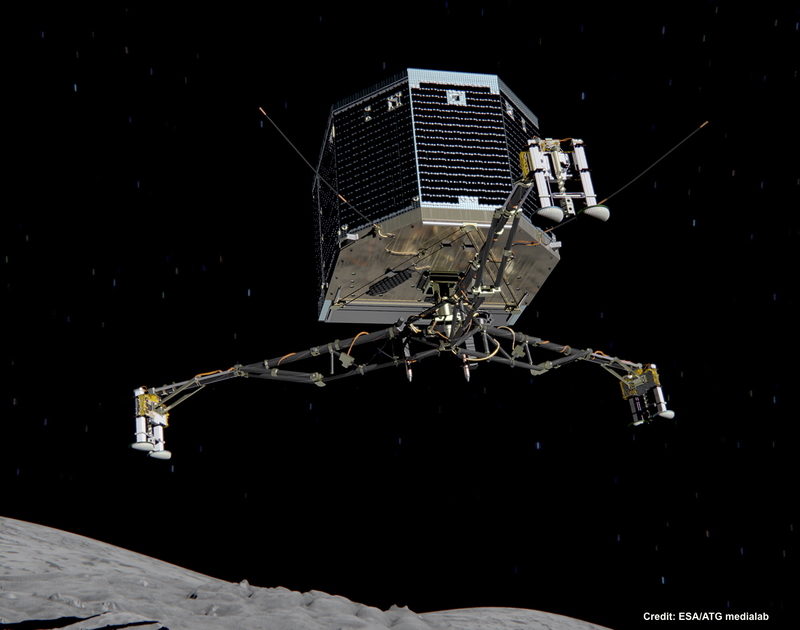 I’m still impressed that we can land things on the Moon or Mars, so you can imagine my excitement when the European Space Agency landed a probe called Philae on a freaking comet last week. The comet, known attractively as 67C/Churyumov-Gerasimenko, was moving at a speedy 11 miles a second at the time of touchdown. I can’t even begin to understand how that works, which I guess is why I’m sticking to diatom research. During its 10+ year transit to 67C, Philae was ferried by an unmanned spacecraft called Rosetta, which now remains in watchful orbit around the comet. Despite a rough landing, Philae was able to get in a good 60 hours of data collection before its battery completely lost power. One of the tasks the probe was charged with was “sniffing” the super-thin atmosphere of the comet to see what it was made of. This data, which is just beginning to be analyzed by scientists, has already yielded an exciting discovery–67C’s ‘atmosphere’ contains organic molecules! I know, it’s such a crazy finding that you probably just jumped out of your chair with joy and hugged the nearest innocent bystander, knocking your coffee to the floor. I’m sorry about that. 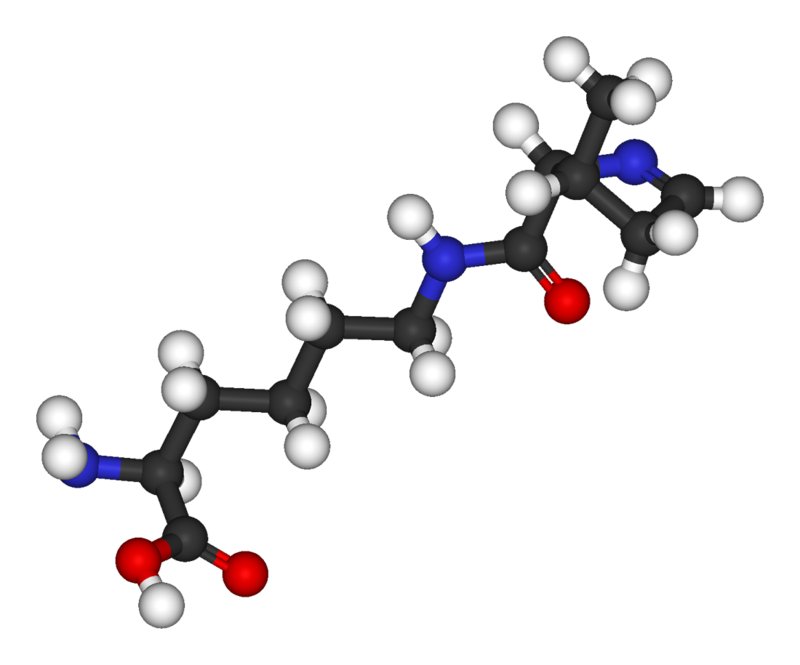 But I’m excited too–organic compounds, which are (forgive me organic chemists, I’m simplifying a bit here) molecules that contain carbon, are the basis for life on Earth. 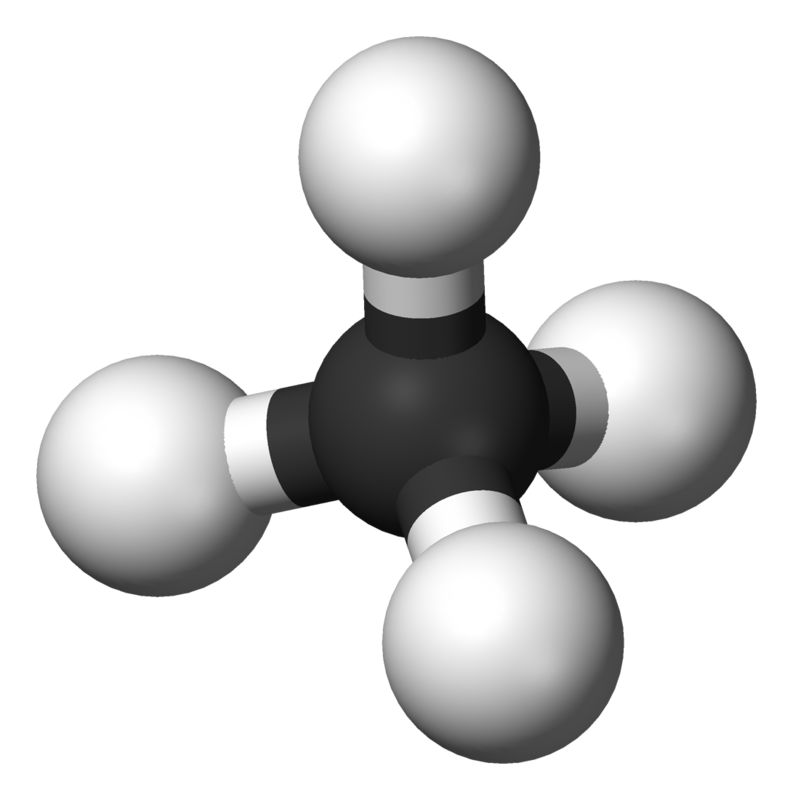 Some, like methane, are extremely simple, while complex organic molecules like amino acids are key players within our bodies. And their presence on 67C could provide support for a crazy idea–that the molecules essential for life were originally brought to Earth in a comet. Scientists who care about this kind of stuff generally fall into two camps–those who think that life arose in our beautiful oceans, and those who believe it (or at least its building blocks) were brought to Earth from outer space. The second theory, called ‘Panspermia,’ (what imagery that name invokes) argues that life arrived on Earth through extraterrestrial bodies like 67C. Comets, which are in large part composed of water-ice, could have also supplied much of our water. We know that the very young Earth experienced a period of bombardment by chunks of space rock while the solar system was forming, and it is during this period that people think the ‘seeding’ of Earth with organic molecules would have occurred. However, Philae’s findings are unique because they are the first direct evidence that these rocks contain organic molecules. Depending on what scientists find as they further analyze the data from 67C, we might think of taking this hypothesis even further–what if not only organic molecules, but the ready-made organisms themselves could have survived the trip through space? Extraterrestrials, therefore, would be the original colonizers of Earth. We’re discovering, more and more, that life exists in environments we figured could never support it. Places like (get ready for the marine science tie-in) hydrothermal vents at the bottom of the ocean, subglacial lakes locked away from air and sunlight for millions of years, boiling hot crannies deep in the Earth’s crust, and toxic sludge all have been found to support hardy microorganisms we call ‘extremophiles’. These bacteria can tolerate temperatures, pressures, and radiation levels that would destroy us in a second, and some can form spores which can ‘sleep’ until they encounter a hospitable environment. We’ve discovered spores up to 25o million years old which are still capable of life, which frankly I can’t quite wrap my mind around. Maybe our original home isn’t the primordial ooze, but is instead literally out of this world. 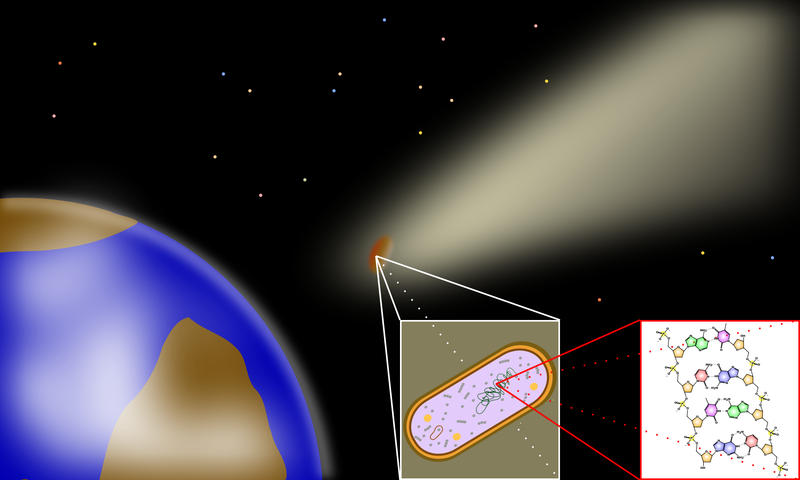 The concept of Panspermia is still just a hypothesis, and may or may not be true, but if we find evidence to support it I’m still left with one big question. Maybe life arrived on Earth on the back of a comet, but how was it created in the first place? Although there are many theories, that’s a question we’re still light years away from answering. Tags: comets, extremophiles, organic molecules, origin of life, philae, space. Bookmark the permalink.